If you have been wondering how to write a biography or need a biography lesson plan about how to teach a kid to write a biography, look at the following tips for how to do it. Before you start, know that biography is a particular writing style. A biography is a true account of someone's life, written by a person other than the individual who is the subject. If you are interested in how to write a self biography, how to write a biography about yourself, or how to write a personal biography, you are actually interested in how to write an autobiography, and you can learn about that here. Our current topic is how to write a biography, so let's get back to that process. First, choose the person about whom you will write, and conduct general research. After you know something about the person's life, choose an aspect that interests you or that has not been told yet, and do more research related to your narrowed focus. With all of your information, the next step is to organize it and write it, turning it into a biography! You may wish to write an outline or dive straight into writing a draft and check how you organized your ideas after with an outline. Remember that important parts of how to write a biography are writing a strong thesis sentence and good paragraphs, and organizing your ideas in a logical way that flows. After you put all of your information into the biography you're writing and are satisfied with how it's organized, you need to thoroughly edit and proofread it. Edit for ideas and style, and proofread for mechanics like spelling and English grammar. 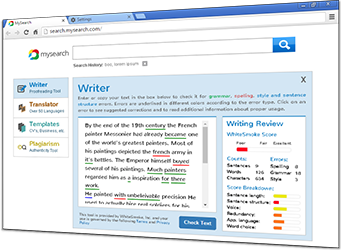 Use WhiteSmoke, the best writing software available, for writing your biography. 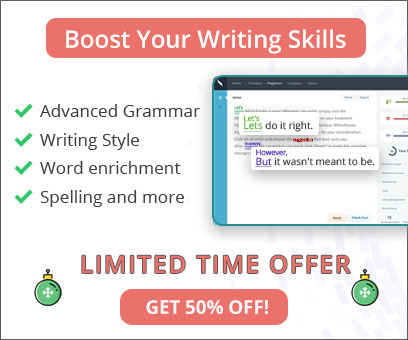 You have one-click access to instant feedback from a spell check, punctuation check, English grammar check, and more. What is more? An online dictionary that includes extensive definitions and translations, plus a thesaurus loaded with synonyms. And don't forget WhiteSmoke's unique enrichment capability, which suggests context-based adjectives and adverbs for writing enhancement. Get WhiteSmoke, and improve your biography writing and all other kinds of writing now.